Your use of this Website and your use and/or purchase of Crowdfunding Campaigner Magazine products and services is at all times subject to these Terms and Conditions as applicable to your use of the website (which forms a legally binding contract between you and us) and all applicable laws. By accessing this Website or using and/or purchasing Crowdfunding Campaigner Magazine products or services, you agree to these Terms and Conditions. ii) you agree to must provide us with personal details (including your name, email address, postal address and valid payment details), that are true and current, and you agree to update us if at any time your personal details change. Please ensure this is done before you move house, as you will be liable for any magazines posted to the wrong address. iii) If you change address, you must update your address details by sending an email to subscriptions@crowdfundingcampaigner.com with the relevant details. Please ensure this is done before you move as you will be liable for any magazines posted to the wrong address. We may refuse any application to join become a Crowdfunding Campaigner Magazine Member or receive to use or purchase any of our products or services for any reason whatsoever. Please note that by supplying your email address on joining us you grant us permission to contact you via email regarding your account and any special offers or promotions that we may offer you from time to time. 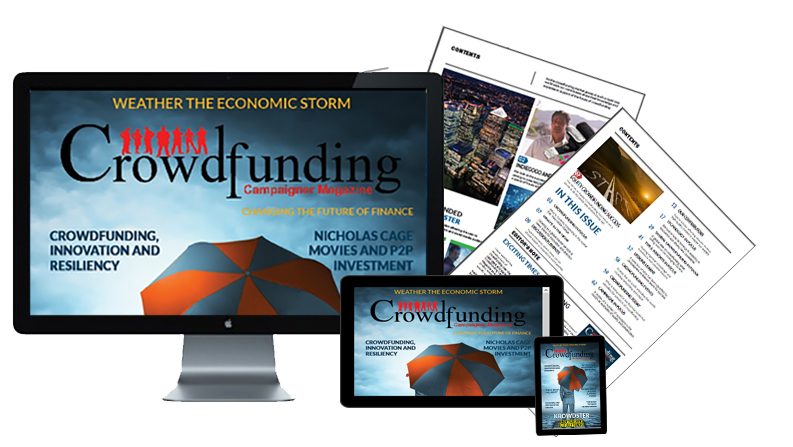 Provided that you meet the Minimum Criteria (see Joining Us – Minimum Criteria above), you may register as a member of Crowdfunding Campaigner Magazine. 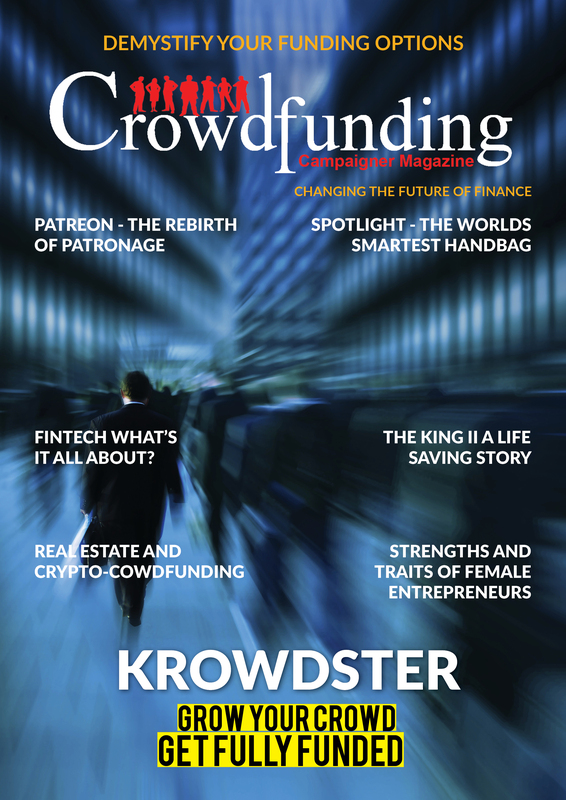 Your annual membership must be paid upon joining Crowdfunding Campaigner Magazine, and Crowdfunding Campaigner Magazine will thereafter supply you with either six, eight or 12 issues per year, according to your choice of subscription package. Subscribers choosing to receive 12 magazines per year will receive approximately one magazine per month, though changes to printing schedules mean that Crowdfunding Campaigner Magazine reserves the right to send magazines more infrequently, provided it supplies the required number of magazines per year. We reserve the right, from time to time, with or without notice to you, to change these Terms and Conditions at our sole discretion. The Terms and Conditions applicable to your access to and use of this Website and your use and/or purchase of our products or services will be the version that is current and displayed on this Website as at each date you access this Website or use and/or purchase our products or services (as applicable). Your use of this Website or your use and/or purchase of Crowdfunding Campaigner Magazine products or services after changes are made means that you agree to be bound by such changes. If at any time you are dissatisfied by the service or products supplied by Crowdfunding Campaigner Magazine you are entitled to cancel your subscription and receive a full refund for the magazines you will not receive that year. To cancel your subscription send an email to subscriptions@crowdfundingcampaigner.com, stating your intent to cancel your subscription and your reason for doing so.